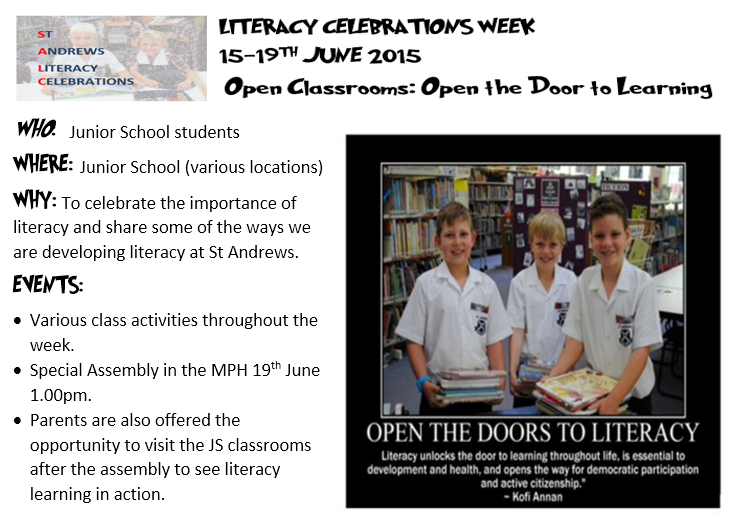 During Literacy Celebrations Week we will be participating in many literacy activities designed to engage, challenge and promote the value of literacy. Some classes collaborating with other Junior School classes and in some cases with Senior School students. Other classes have connected their Units of Inquiry with literacy experiences. We would like to share some of these experiences with you (stay tuned) in Week 9.